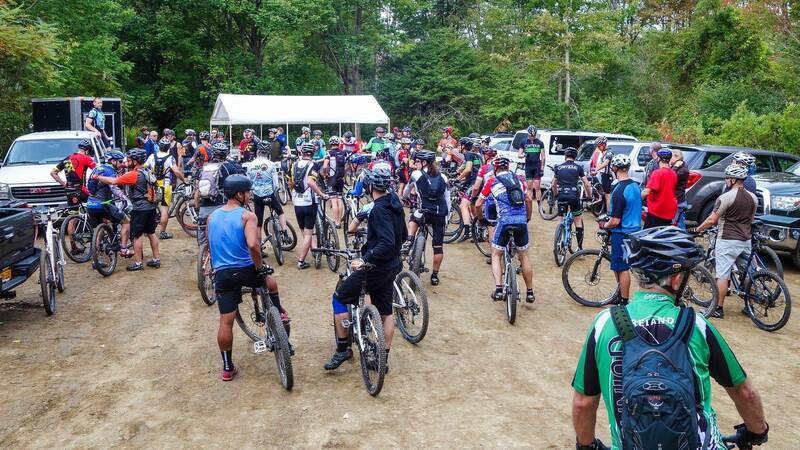 The Hustle is expected to be just as jammed pack with thrills, spills and gut busting action (and that's just talking about the post race food) as the last two years. The race loop this year is new in hopes to keep the Hustle fresh and interesting. Racers will head out South down the road to spread the herd, before turning onto 28 mile Creek Road and then onto the East Overland Trail. This section of EOT is a fast downhill, with a few demandingly narrow bridges, climb back up the other side and turn left onto Torry's trail that leads you onto Humpty, where you will take it clockwise all the way back to the pavillion. Then onto Rib Tickler until jumping onto Goatboy taking it all the way down to the bottom of THE GUT. Once on THE GUT, you will ride up to Lung Buster and Willy Nilly, back on Lungbuster for it's winding descents, left onto Myrtle's Romp that will take you back to No Dab, past the pavillion, out to the EOT, skirt the skills loop and through the parking area for the finish or the start of your next lap. Beginnner/Novice will do one lap, approx. 8 miles.crossing their finish line back at the parking lot. 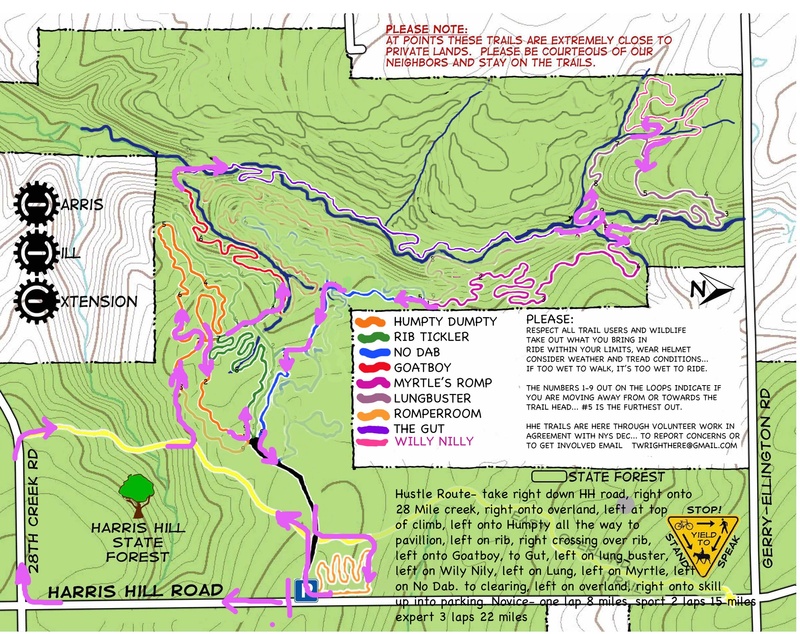 Sport and Experts will continue through the parking lot, head down the access road get back on the Overland trail and slip back onto Torry's trail for their additional loops Sport doing 2 for approx 15 miles and Expert's doing 3 for 21 miles. The food and beverage offerings are expected to be just as great as last year which were.. wait for it....... legendary. We will have raffles, give-a-ways and a great post party. The Hustle is sure to leave you wheezing, fatigued, sweaty, swearing, but smiling... (and maybe a shattered ego or nose), but we will help the healing begin by filling your mouth full of food and your glass full of beer or water or soda or pop or sodapop , and your arms full of swag.